Hi there, I'm Caroline Suzanne. 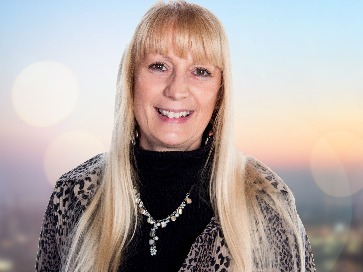 I have been a professional psychic reader for more than 5 years, and would describe myself as being honest, compassionate and caring. My three main areas of reading are love and relationships, family, and matters concerning pets and other animals. I am often available to deliver my own brand of calm and compassionate reading. When you first connect with me, the first thing I will do is introduce myself to you, and the way in which I read. I will then ensure that you are comfortable, as I understand that a lot of first time callers will be nervous. I will then ask what you would like me to look into, and begin your reading. My favourite tool is my moonstone, which I have used for the past 33 years. When I am doing a phone reading, I feel it helps me to gain an understanding of the messages that my guide is sending to me. I also use my crystal ball in a similar way, as well as using a pendulum, Angel and Oracle cards. My Guide communicates with me by transmitting signs and feelings to me during readings. When a caller asks me a question, my guide transmits images and feelings in order to guide me towards insight. For example the image of fallen leaves to signify autumn. I first realised that I was a psychic in my early childhood, and have been performing readings since I was 19. However, it has only been in the last few years that I have chosen to make a career out of this, and develop my readings. Get 15 minutes to speak to Caroline Suzanne for just £4.99 (that’s a value of £22.50! )..